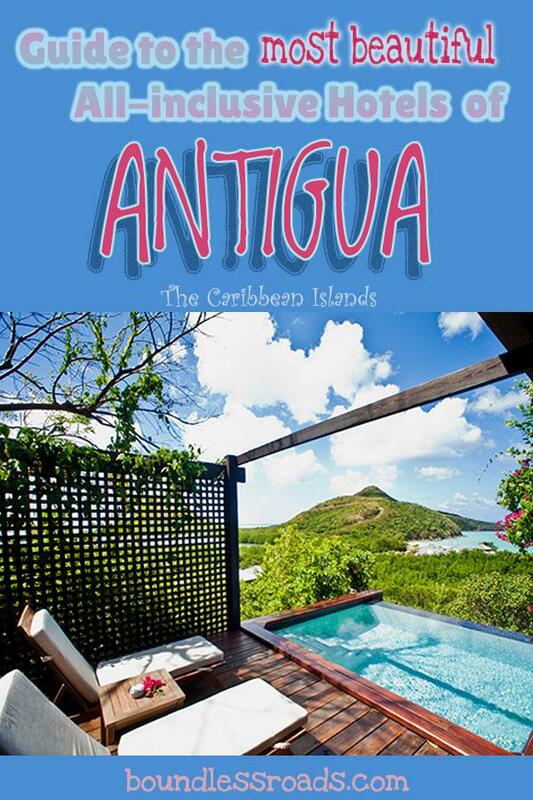 Antigua has long been popular as one of the top Caribbean’s favorite destinations for honeymooners and couples drawn by the elegant romantic resorts, secluded beaches, and the exquisite Creole cuisine. In fact, the island boasts outstanding all-inclusive hotels, all of them competing to deliver the most incredible guest experience. It’s really difficult to determine which one is best. They are all amazing, just in different ways. When I was living in Antigua I was working as a tour rep, looking after my Italian guests that were staying in different properties. Therefore I had the fortune and the privilege to be introduced to all almost all of the hotels in Antigua and inspected them all. Since I loved Antigua so much, fast forward 4 years from when I left the island, my lucky star made sure that my connection with Antigua wouldn’t be interrupted. 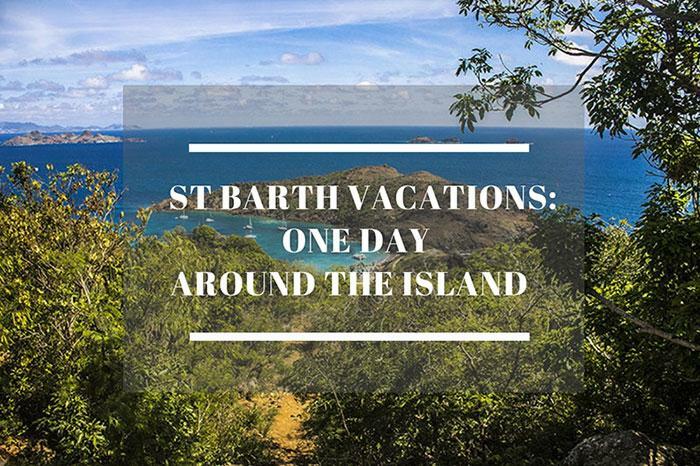 In fact, my new job took me back again to the island as a contracting manager for an international travel wholesaler, which means that I was supposed to visit absolutely all the properties from the most exclusive to the more laid back and simple guesthouses. 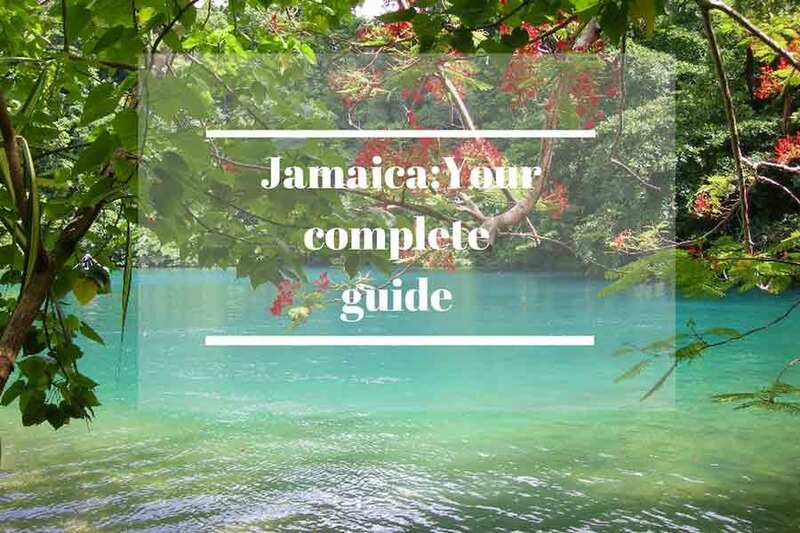 In this post, I am sharing all I know about Antigua All-inclusive resorts and small hotels with the hope to provide a useful guide for your next stay. Hermitage Bay (photo in the header) is the perfect place for a romantic escape. 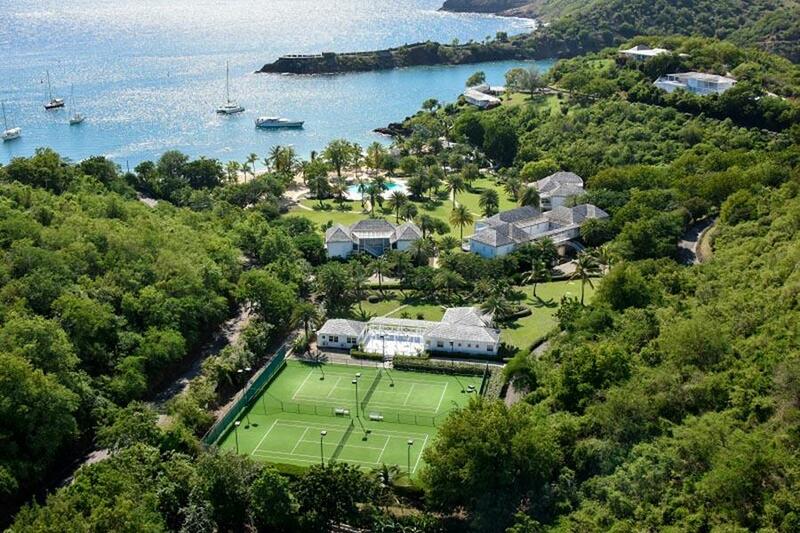 Among my favorite properties in Antigua, Hermitage Bay is built in a secluded bay just behind Jolly Harbour Marina. 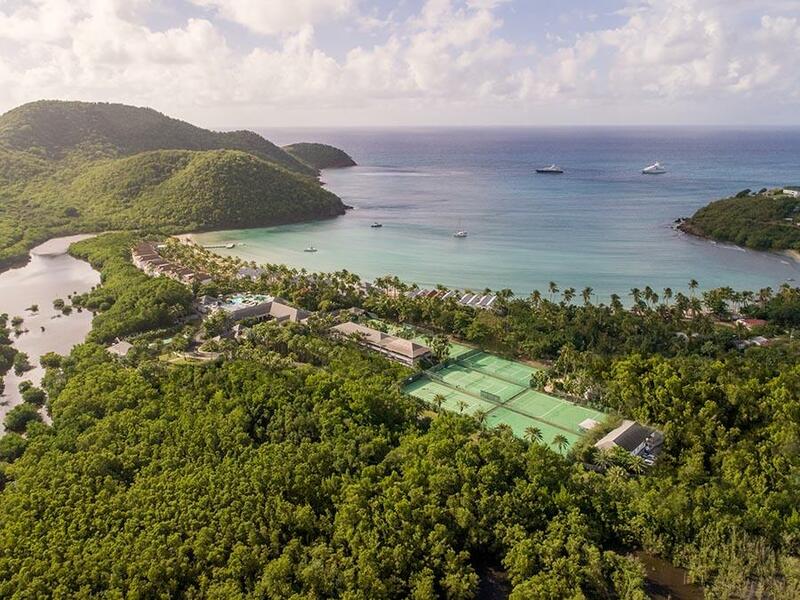 With a total of 30 suites, 17 of which are located on the hillside, nestled in lush vegetation with spectacular views over the turquoise bay and 13 are situated on the beach, closer to the main area and the water, but still guaranteeing the much-needed privacy. The main element is wood, brought from a sustainably managed forest in Guyana and bestowing a natural luxury feeling throughout the property. The spacious suites present a simple and yet sophisticated decor with pristine white linen contrasting the dark wooden floor, the finest amenities and, a plunge pool right on the terrace overlooking the bay. Oh Gosh! While writing this piece, I just picture myself in that pool sipping champagne (well I would prefer a natural fruit juice, but that wouldn’t sound that fancy) while looking at the gorgeous bay. Oh, I was about to forget, the dining experience is also one of a kind, with a rich menu that blends international flavors with the tasty Creole cuisine using most of the time the local vegetables grown in the property. Veggie friendly and gluten-free options are also available. Hermitage bay believes in the importance of a natural healthy environment and has a heartfelt concern for the well being of staff and guests alike and you can even feel the positive vibes running throughout the property. Healing and restoration therapies are promoted by the luxurious organic treatments of the Garden Spa, certainly enhanced by the natural beauty of the surroundings. This is really a dream place for me and I really look forward to spending a few days there, one day soon. Watersport, private candlelight dinners, tours, and airport transfers can be organized by Hermitage bay. If Hermitage Bay is the perfect romantic hotel, Carlisle Bay is the ideal high-end option for a perfect family vacation. 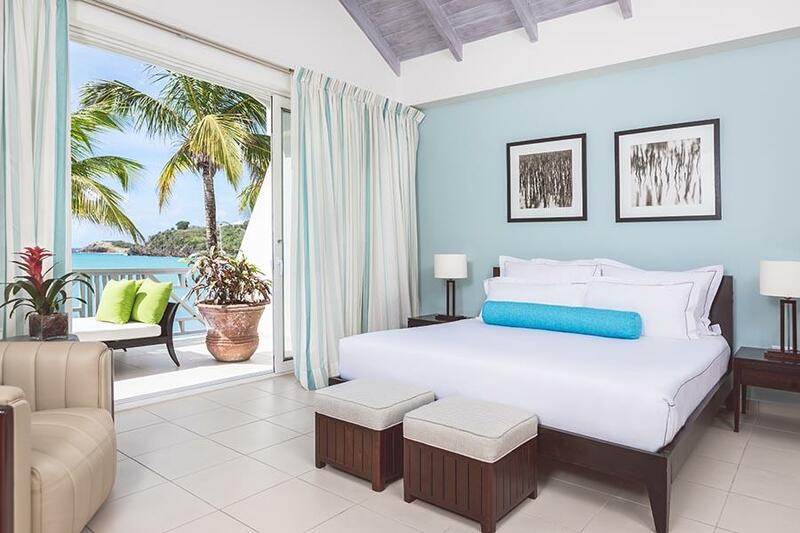 I had the privilege to spend a couple of nights at Carlisle Bay and I appreciated the elegant look of the pastel tones and the modern feel of the spacious room, decorated with the finest features and amenities. The long stretch of beach and the shallow waters of the sea is perfect for kids to swim in tranquillity, and adult as well. The dining experience offered by the four restaurants offers top-notch options among local and international cuisine. The healing center, located in a tranquil space nestled in the beautiful garden, comprises of a Spa, for soothing massage therapies, a Yoga pavilion for private or group yoga session and a fully equipped gym, for a complete rejuvenation program, as desired. Located on a private island at 15-minute rides from the Antiguan coast, this spectacular luxury property includes 30 suites scattered around a manicured garden on a 300 acres land. The guests can enjoy top-notch dining in the 3 international restaurants, sweeping with sand beaches suitable for kids and adults alike and a wide range of watersport activities. The hotel prides itself for providing exceptional personalized service for its guests that get to be pampered from the very first minute they arrive at the airport until they leave. I have to say though, that when I visited Jumby bay it was run by Rosewood Resorts, a family owned hotel group that is a guarantee of great service and charm, but they have recently changed management and although I would want to think that they have maintained the high standard, I cannot guarantee that, as I don’t know anything about this new company. If you go, please let me know 🙂 I really hope they are up to the standards because Jumby bay was really a gem. 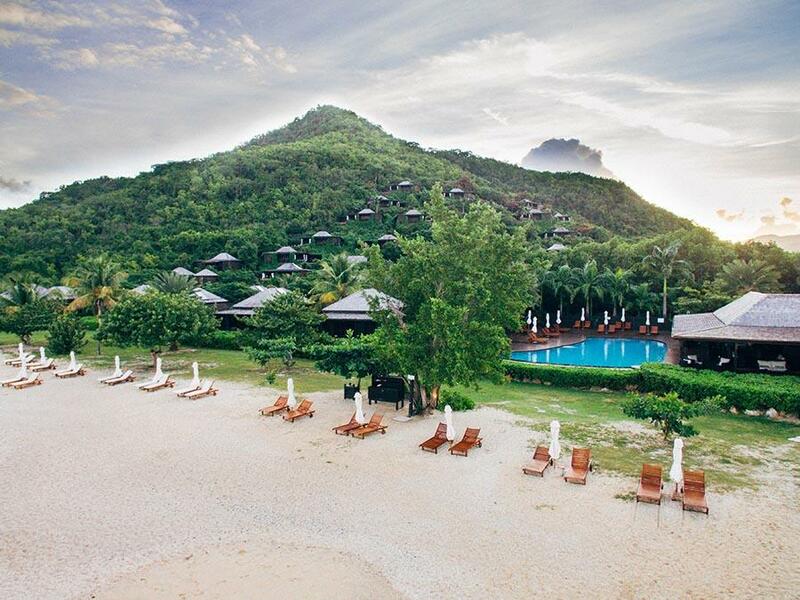 They also have private villas with butler services if you feel like splurging, that’s the perfect place. Curtain Bluff prouds itself for being one of the few 100% all-inclusive in the world, with exceptional service, top-notch cuisine and a wide array of activities, such as diving, tennis and much more that are completely free for their guests. They are so much pampered that they cannot help but return every year. To add up to the magic, Curtain Bluff is also blessed with a strategical location. 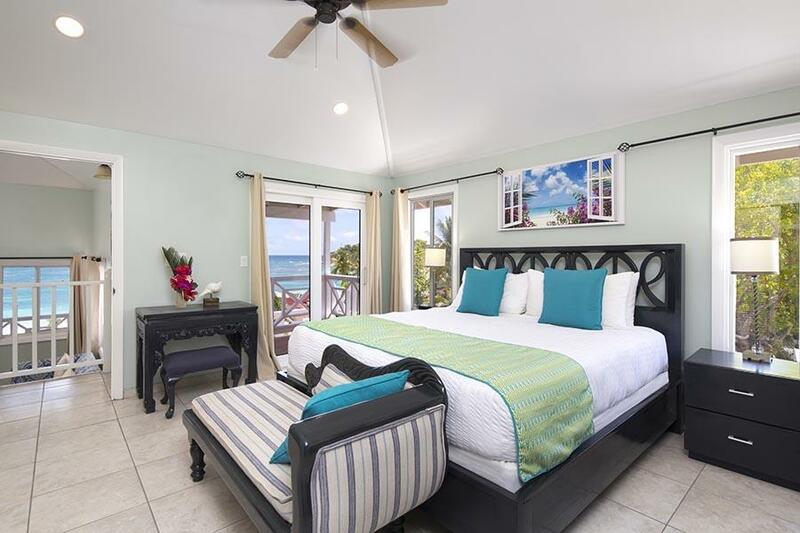 The exquisite Caribbean-styled suites are in fact located along a bluff towering over the blue Caribbean sea and facing on both sides amazing views of the sea and pristine beaches. 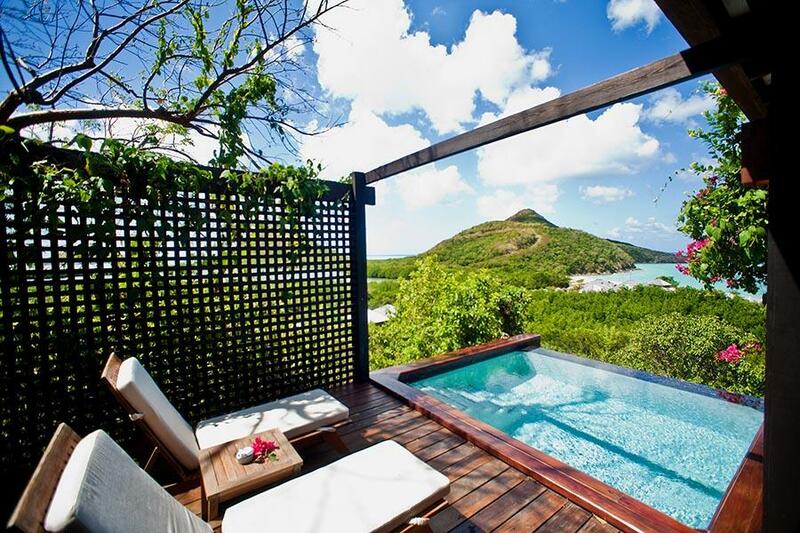 Proud Member of the Small Luxury Hotels of the World brand, The Inn at English Harbour is a real gem, and quite unique in Antigua. 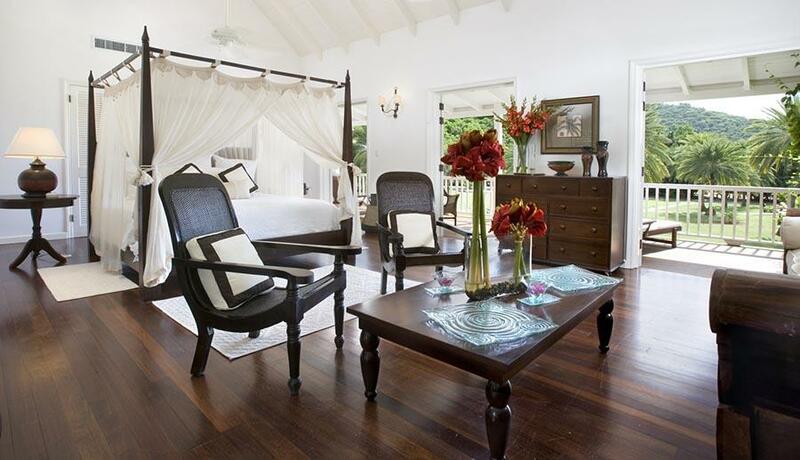 The elegant colonial style harmoniously blends with a modern luxury feel and makes it an exquisite hideaway for a romantic escape or a rejuvenating vacation in bliss and tranquillity. From the restaurant terrace, you can admire the spectacular views over the pristine private beach and the manicured gardens, while enjoying a top class dining experience. The beach bar and restaurant offer great lunch options and generous breakfasts, while a variety of external excursions are offered to complement the tranquillity experienced in the property. The lovely spacious suites scattered around the beautiful property are attentively decorated with original pieces of art, brought from all over the world by the owners, and furnished with the finest linen and top quality amenities. 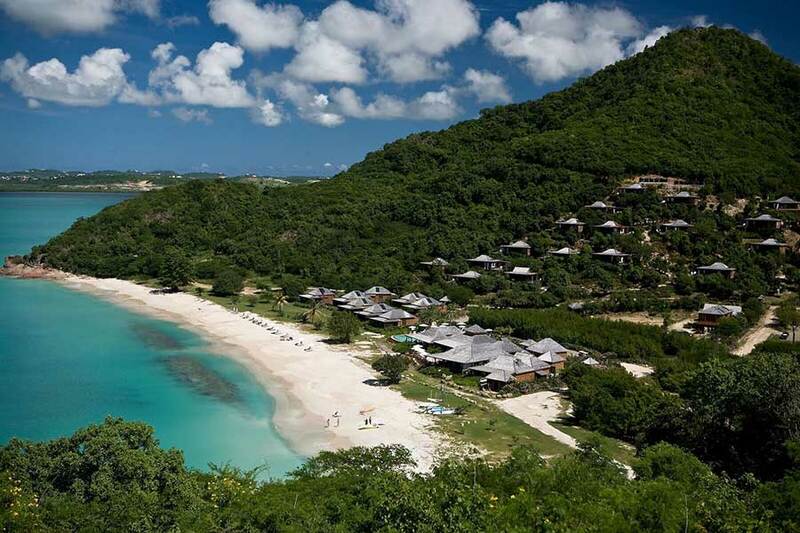 Galley Bay is another one on my list of favorite hotels in Antigua. I was debating whether I should have actually moved it among the top luxury hotels, but I chose this category instead because it’s a little less pretentious than the above-mentioned luxury resorts. It’s an adult only all inclusive with a spectacular almost private beach, only shared with a beautiful house on the cliffs at the end of the beach, owned by the Italian stylist Giorgio Armani. The hotel boasts an extraordinary service and a top-notch dining experience. The comfortable rooms are nicely decorated with a Caribbean feel and you can choose among different categories and locations. A lovely beachfront yoga pavilion and boardwalk have been recently added always with the final purpose to enhance the guest experience. Small and cozy, this cute property offers to me the best value for money all-inclusive on the island. Chic but not pretentious. When I was there the food was not what they were shining for, but the location, on a bluff with spectacular views and the cozy rooms definitely make up for it. Its beach, close to Fryes bay is also amazing. What guests appreciate the most about this resort is the exquisite dining experience and the exceptional service. This cute hotel has recently undergone a full facelift after being acquired by the Hotel group Elegant Resorts. I haven’t visited the hotel after the remake, but I noticed from the pictures that rooms have had a nice revamping and it’s not a family hotel anymore, but for adults only. The pool also has been redone, however, this is not really a concern when you are on one of the best beaches of Antigua, Long bay beach. 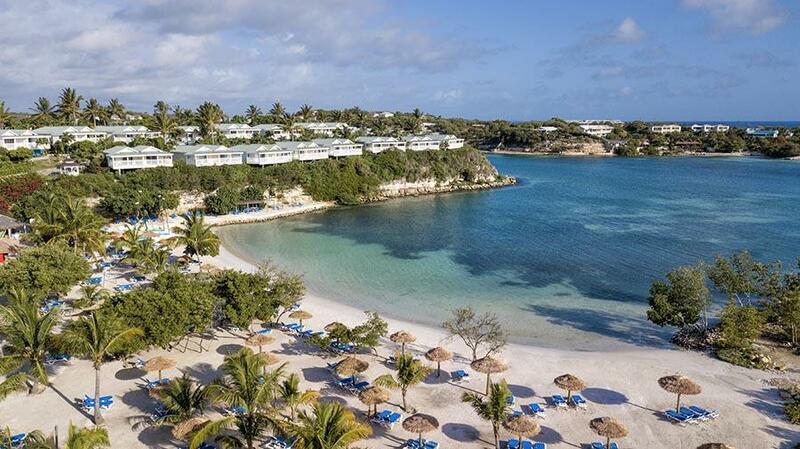 If you are looking for a low key relatively cheap all-inclusive hotel, right on one of the best beaches in Antigua, this is the perfect choice for you. Located right at the back of one of the Marinas, lined with a nice boardwalk and nice restaurants. You don’t need to have any expectations on the hotel, though. Otherwise, you will get disappointed. The kindness of the staff and the beach will make it up for the old and tired structure that definitely needs a facelift. I lived at Jolly Beach for one year and I loved it but understand also the disappointment of an unwary tourist with too high expectations. 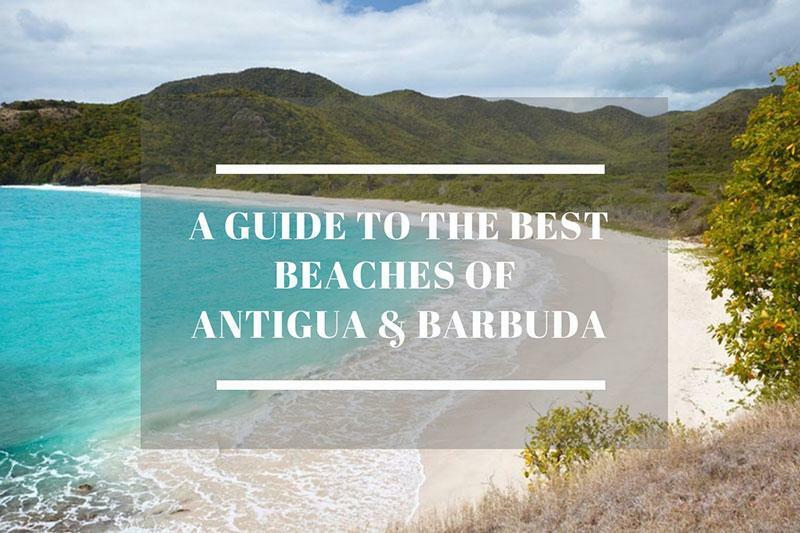 Hawksbill bay is located on a spectacular spot in the north of Antigua, not far from the capital city of St John’s and boasts 4 spectacular beaches one of which is the only Hawksbill is home to Antigua’s only clothing optional beach in Antigua. The hotel is an adult only all inclusive property since 2017 but it has been there forever and well known as a family resort. The simple rooms but comfortable rooms are scattered around an impeccable tropical garden lined with palm trees and beautiful flowers. I would call it a good 3-star property, with a great colonial feeling and outstanding service. It can look a little rundown in some way. 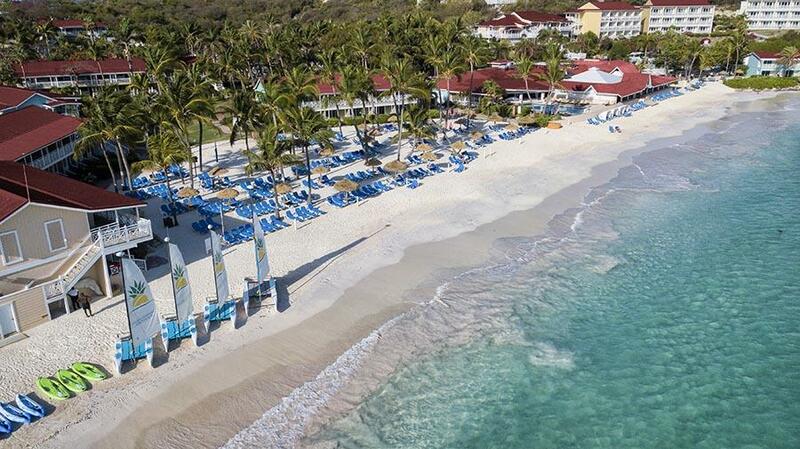 Certainly not a good choice if you are looking for luxury, but a great one if you want a middle range priced all-inclusive and tranquil hotel on a beautiful beach. It’s Hawksbill sister property but it was closed and very run down when I was there so I couldn’t see the refurbishing works’ results and tell you my opinion. However, I will live you with a link to other guests’ reviews for your convenience. Besides the above-mentioned hotels, you can find this cute little property with lovely self-catering apartments, with a fully equipped kitchen and 1 or 2 bedrooms. The units are nicely decorated and face a beautiful garden, a nice pool, and with a spectacular beach at a few steps. The place is run by a good friend of mine, Simonetta, who looks after her guests with attentive genuine care. Located right in the Marina, this modern hotel offers spacious rooms nicely furnished and decorated with great views over the harbor. I have to say this hotel was built after I left the island but I have heard from local friends that’s a really good stylish and elegant property. Located right on the marina but further uphill, in a tranquil area. Have a rum punch! or two for me!